Our Testing-ABOUT MODS-MODS Luggage China Limited. At MODS Luggage quality is at the heart of our business and we work to ISO 9001 quality standards. We follow strict protocols to ensure that our luggage meets industry standards and that they are safe for use by everyone. The materials that we use are of the highest quality and products are inspected by the head of quality control. Our products undergo rigorous testing to ensure that they withstand the sometimes harsh knocks of travel and provide customers with many years of use. 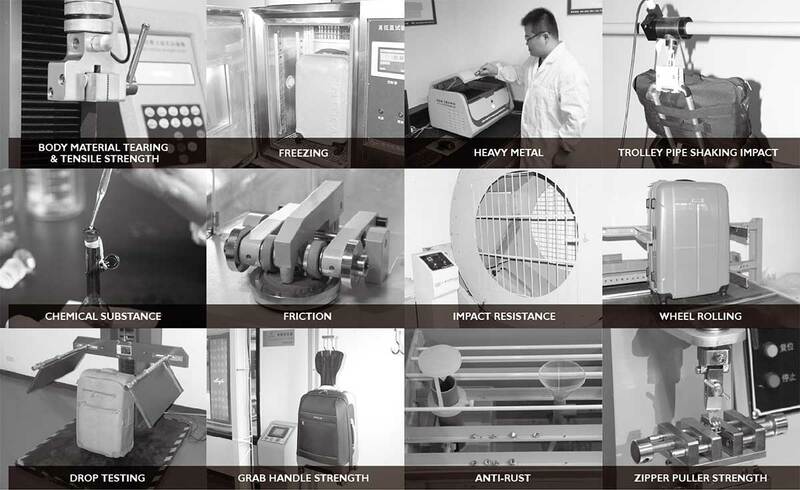 We test every element of our products from the strength of the fabrics and shells that we use, to the robustness of trolley handles and wheel endurance. We then set about testing them under extreme temperatures to ensure that they stay as good as new, wherever they are in the world. We carry out testing on a wide range of materials to ensure that they are safe for use and comply with all health and safety regulations and trading standards.